I know I've mentioned it before, but it's right around the corner! 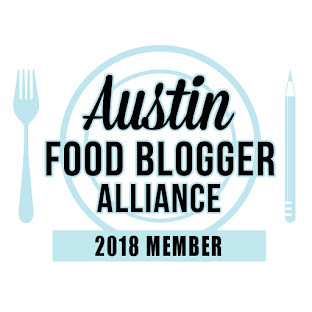 The Austin Food Blogger's Alliance is holding a screening of the movie Waitress at the Alamo South Lamar on Sunday, August 21st at 1pm. 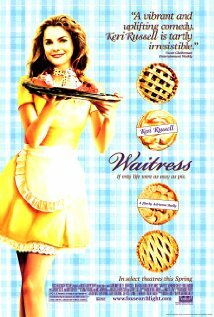 We've (yes, WE, I've been helping put together this event) got donations of pies from several local bakeries, which we will sell on a donation basis at the end of the movie. All the movie ticket and pie sales go to SafePlace. We've already gotten word that we sold out the smaller 80-something person theater at the Alamo, and they're moving us into a larger theater! We'd really like to sell out!!! And we'd really like for you to come and buy a pie! Get your tix here! With many thanks, we have donations from: Bluebonnet Cafe, Cake & Spoon, Dagar's Catering, Flemings, Pie Fixes Everything, Royer's Round Top Cafe, Silver Whisk, Sugar Mama's, SugaPlump, Texas Pie Kitchen, The Pie Society, Tiny Pies, Upper Crust, the Wine & Food Foundation. -- Vodka Fest, on Wednesday, August 31st from 7 - 10 pm (really, in the middle of the week? ), will be held at Cool River Cafe. Locally produced Dripping Springs Vodka will be the only local vodka out of thirty participants. -- Estancia Churrascaria will celebrate Brazilian Independence Day on September 7th. Caipirhinas will of course be featured, as well as a fruity cocktail version thereof, called the caipifruta. -- Fonda San Miguel will hold a wine pairing dinner featuring wines from Copain, a vineyard in California's Russian River Valley, on Wednesday, September 14th. Tickets are $85/person for the five-course pairing, and can be purchased by calling the restaurant. The menu and wine pairings can be viewed here. -- Faraday's Kitchen Store in Lakeway will hold a gadget extravaganza on September 24th, from 10 am - 4 pm. Your chance to oooh and aahhh over lots of COOL toys!!! -- R.D. 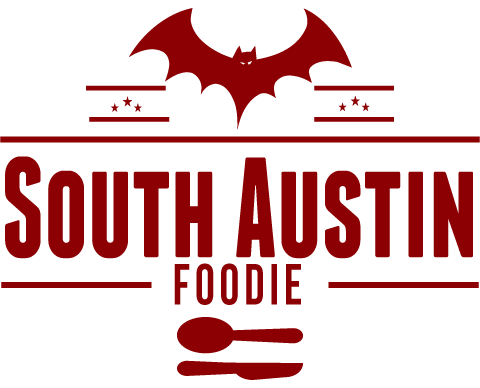 's BBQ (Fri & Sat only) is in the Bouldin Creek Trailer Park on S. 1st. -- Bennigan's will resurface... but I can't remember where I heard it was to be located. -- The Driskill Grill will be closed for remodeling. -- Sadly Aquarelle will be closing, but the owner will be reopening it as a Latin-influenced place, called Chonita's. -- In the same location with the same chef (and other teammates?) that was The Good Knight on East 6th, will become Sputnik, a Russian burger and hot dog place, opening in the not too distant future. -- An ice cream shop called Lick, is apparently coming to the building next to Barley Swine (as I spotted the sign after dinner at BS the other night). I like the logo! -- Somnio's on South 1st decided not to renew their lease; sad that a quality placed, dedicated to locally-sourced foods couldn't survive in this economy. I am feeling slightly guilty for only having eaten there once, as they are located pretty close to me. -- Dog Almighty on South Lamar; the doors are apparently locked by the landlord. Man their hand-dipped jalapeno corn dog was killer! And the tater tots too. Bummer. And finally, please take a second to visit my new Facebook page! Thanks! You can see the pictures of my Barley Swine meal! I was JUST thinking how glad I was that Somnio's was still around. Drat and blast! Doesn't seem right that Bennigan's is coming back and Somnio's is going away.